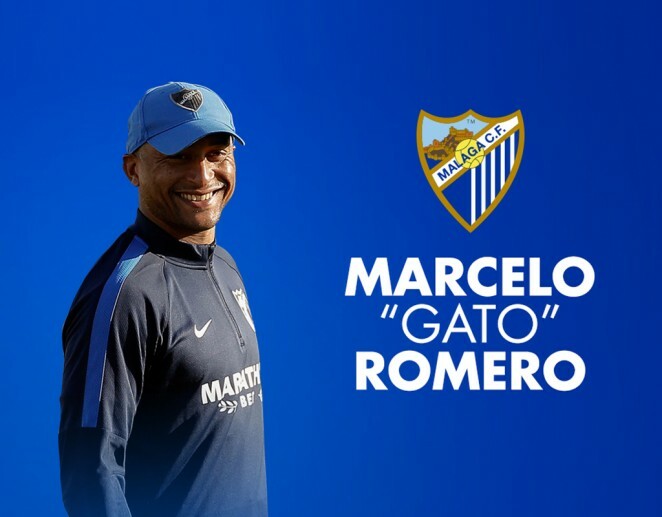 The former Málaga CF player and member of the coaching team for the past three seasons, will be the first team coach indefinitely. Clever Marcelo Romero Silva (04/07/1976, Montevideo) has been second coach and member of Javi Gracia and Juande Ramos’ coaching teams for the past three seasons. The former Blue and Whites’ player for six seasons, and champion of the historic Intertoto Cup is a man of the house, who has the total confidence of the Club and owner. This morning, the coach directed his first training session at the head of the team, and the decision was communicated to the players before the session. Marcelo Romero began his sporting career as a footballer in Uruguay with Defensor Sporting and CA Peñarol, before making the move to Spain, where he remained in Málaga CF’s ranks from the 2001/02 season until 2006/07. The Uruguayan-born coach has already led the first team in three matches last season, due to two sanctions of former coach, Javi Gracia at different points during 2015/16. Marcelo Romero was on the bench at Riazor for the 3-3 draw, and at La Rosaleda against Sporting de Gijón, which resulted in a 1-0 victory for the Blue and Whites. Subsequently, he directed the team at home against Las Palmas in the match that brought an end to the season, which Málaga CF won by 4-1.